8 HTML, Word press, CMS. 1 What is organic search? 7 Other analytics – face book Analytics, You tube analytics, Twitter analytics. Excellent Training . I joined the course for my business purpose. 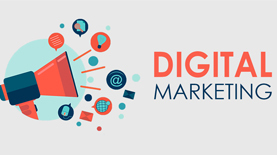 I got a very good idea on Digital marketing and seeing result on my business growth. Thank you sir.